All parts are security marked, removal of this mark will invalidate your warranty. All parts supplied are taken from a used vehicle, may show signs of wear and tare. All parts are checked while on the vehicle and will be checked again before dispatch. Codice ORIGINALE. o ritiro in zona gratuito. Nueva 2 trans empaques refrigerador de aceite para Land Rover gama Rover 2003-2005. 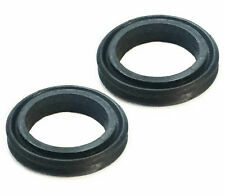 Interchange Part Number Range Rover Trans oil cooler o-ring. Interchange Part Number Trans oil cooler o-ring PYX000070. Manufacturer: Land Rover. Part Number: UBH101460D. NUOVO Tubo Inferiore Radiatore Olio OEM Land Rover Defender 90 110 Discovery I Range Rover Classic motori 300TDI 1994->. o ritiro in zona gratuito. Conveniente para los 2.5 l motor del Defender 300 TDi. NUEVO Land Rover aceite refrigerador manguera original nuevo. Tierra Rover genuino nuevo aceite refrigerador tubería Ubh 101460. Fabricante: LAND ROVER. Colecciones de cita Bienvenido - basado cerca de aeropuerto de Londres Heathrow. LAND ROVER. OIL COOLER REPAIR KIT. ALUTEC UK LTD. Equivalent to Land Rover part number: ESR3690 and ESR3691. Land Rover 300 TDi Oil cooler to engine pipes. Defender, Discovery and Range rover 300 TDi Engines. for Land Rover. 300TDi Oil Cooler Pipes. Land Rover 300TDi Engine Oil Cooler Pipes. Land Rover Defender, (1994-1998). Defender Parts. Series 2 & 3 - Defender 90/110/130, Discovery 1,2,3,4,5 & Sport - Freelander 1 & 2 - Range Rover Classic, P38, L322, L405, Sport & Evoque. 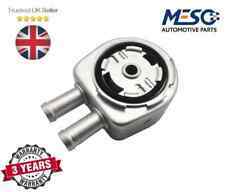 GENUINE MOCAL LAND ROVER V8 CONVERSION REMOTE OIL FILTER KIT. Ideal for hard to reach or inaccessible oil filters, engine transplants / conversions etc. Most Rover V8 engines when fitted in a Land Rover. Technical Drawing : NRF EASYFIT.pdf. LAND ROVER PBC101370L. Function Oil Cooler, engine oil. Cooling Type Water-cooled. Applicable Vehicles. ES DESCONECTADO DEL Land Rover DISCOVERY 3.0 TDI 2011 año RHD. 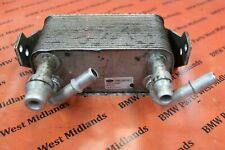 LANDROVER DISCOVERY 3.0 TDI ENGINE OIL COOLER GENUINE 2011. EL ARTÍCULO DEBE DEVOLVERSE EN LAS MISMAS CONDICIONES. EN BUENAS CONDICIONES DE TRABAJO. Si está indicado, lo que funciona aquí era de catálogo no oficial. Cada problema es solucionable y estamos aquí para garantizar su satisfacción. Discovery 2, Td5 Diesel models. Defender 90/110/130, Td5 Diesel models. 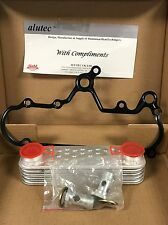 ROVER V8 GENUINE MOCAL 5/8BSP 13 ROW OIL COOLER KIT. Rover SD1 V8. Range Rover V8. Exact cooler size required depends upon: The type of use, ambient temperature, spec of the engine (internal friction, rev range, power etc), airflow through the cooler and over the sump. 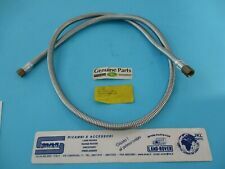 NUOVO Tubo Superiore Radiatore Olio OEM Land Rover Defender 90 110 Discovery I Range Rover Classic motori 300 TDI 1994->. o ritiro in zona gratuito. LAND ROVER FREELANDER 1 TD4 M47 2.0L OEM DIESEL ENGINE OIL COOLER You are purchasing an OEM oil cooler, suitable for the M47 TD4 diesel engine fitted in later Freelander 1 models. Compatibility:Land Rover Freelander 1 - M47 TD4 Engine PART NUMBERS -PCB101370L. Oil Cooler Thermostats. LAND ROVER Freelander 2 (LF) 2.2. Oil Coolers & Radiators. Oil Sump Pans. OIL COOLER RADIATOR. Head Bolts. Fuel Filler Flap and Housing. Big End Bearings. Oil Cooler Thermostats. LAND ROVER DEFENDER. Oil Coolers & Radiators. Oil Sump Pans. MODIFIED OIL COOLER. Head Bolts. Indicator Switches. Fuel Filler Flap and Housing. Land Rover Defender, Discovery 1 And Range Rover Classic 300 TDI Oil Pump Rotary Gear Set. Pictures are for reference only and specifications may alter without notice. Channel Islands; Northern Ireland (BT); Isle of Man (IM); Isle of Wight; Isles of Scilly. All series 1 Land Rover Discovery V8 from 1995 onwards or Vin no. Land Rover Nos.PBP101150 & PBP101160. and go into the oil cooler that is part of the radiator. Rest of the world £22.99 international recorded. REMOVED FROM A SERIES 2A LANDROVER. FOR SALE IS A USED MILITARY OIL COOLER. EX MILITARY MODEL. Essendo il ricambio usato potrebbe presentare leggeri segni di usura. - COD contrassegno (Solo in italia - Selezionabile solo da PC). PBP500190 / ESR3690 x1. Genuine Bearmach High Quality Components. known all over the world for high quality parts. L R Parts Ltd is an authorized Bearmach distributor, we specialize in new Land Rover Spares, stainless steel bolt sets for Land Rovers and general maintenance parts. Equivalent to Land Rover part number: ESR3690 and ESR3691. Defender, Discovery and Range rover 300 TDi Engines. Land Rover 300 TDi Oil cooler to engine pipes. for Land Rover. PBP500260, PBP500270. LAND ROVER RANGE ROVER P38 1994 TO 2001 2.5 DIESEL. OIL COOLER PIPES. PARTS COLOUR MAY VERY DUE TO MANUFACTURE PRODUCTION. PART NUMBERS ARE FOR REFERENCE ONLY AND DO NOT IMPLY THE MANUFACTURER. Anno: 2004. - COD contrassegno (Solo in italia - Selezionabile solo da PC). This listing is for a genuine Land Rover used part This Oil Cooler is from a 2013 Discovery 4 3.0 Tdv6 Please match current part number of 7H32-9N103-AC as shown in photo Some damage to fins As shown in photo. F8741003 RADIATORE CARBURANTE LAND ROVER RANGE ROVER SPORT 2.7 140KW 5P D AUT (2008) RICAMBIO USATO PIB500052. Se indicate, le compatibilità qui riportate sono risultate da catalogo non ufficiale. - COD contrassegno (Solo in italia - Selezionabile solo da PC). Oil Cooler Pipe 200TDI ESR1258. Here we have the OEM quality ESR1258 oil cooler pipe for the Land Rover Discovery 1 Model. F8741002 RADIATORE CARBURANTE LAND ROVER DISCOVERY 3 2.7 140KW 5P D AUT (2007) RICAMBIO USATO PIB500052. Anno: 2007. - COD contrassegno (Solo in italia - Selezionabile solo da PC). Land Rover Discovery 4 TDV6 2010 80,517 miles (2127). Leak free. Transmission oil cooler radiator. PIB500120 RADIATORE CARBURANTE LAND ROVER RANGE ROVER SPORT 2.7 140KW 5P D AUT (2008) RICAMBIO USATO. Se indicate, le compatibilità qui riportate sono risultate da catalogo non ufficiale. - COD contrassegno (Solo in italia - Selezionabile solo da PC). Equivalentto land rover Part No :-PBP500200 / ESR3691. Land Rover Discovery 1 300tdi Models ONLY. Range Rover Classic 300tdi Models ONLY. Land Rover Defender 90 110 300tdi Models ONLY. Manufacturer's Part numbers are used for reference purposes only. Equivalentto land rover Part No :-PBP500190 / ESR3690. Land Rover Discovery 1 300tdi Models ONLY. Range Rover Classic 300tdi Models ONLY. Land Rover Defender 90 110 300tdi Models ONLY. Manufacturer's Part numbers are used for reference purposes only. Aquí tenemos el OEM calidad ESR1257 superior refrigerador pipa de aceite del vehículo Land Rover Discovery 1 desde los años 1992 hasta 1994. Tubo enfriador de aceite superior ESR1257. LAND ROVER RANGE ROVER P38 4.0/4.6 V8 1994 TO 1999. OIL COOLER TO FILTER PIPE. PARTS COLOUR MAY VERY DUE TO MANUFACTURE PRODUCTION. PART NUMBERS ARE FOR REFERENCE ONLY AND DO NOT IMPLY THE MANUFACTURER. 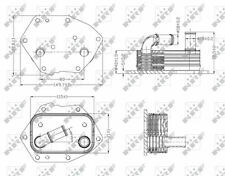 Oil pipe cooler retaining strap ESR2579. 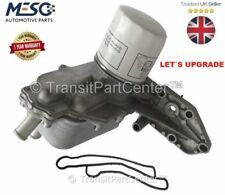 (Land Rover Part Number :PBH000020. Freelander 1996 - 2006 from 1A000001. Pipe from the Engine to the Oil Cooler. 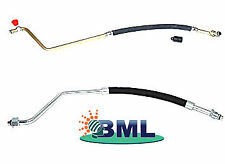 The pipe from the Oil Cooler to the Engine is also available. Genuine Land Rover. This will slow down the dispatch of your parcel. ).